Whether you have a small business and send a large volume of packages, or just want to send a gift to a loved one, there are so many benefits to choosing FedEx over the post office. However, it can also be tricky to figure out how to make the most of shipping with FedEx. If you want your packages to arrive on time and get the best deal possible on shipping fees, keep reading for our complete guide to shipping with FedEx. One of the best things about FedEx is that they make it easy to print out electronic shipping labels. You don’t have to worry that it’s formatted incorrectly and it will definitely be legible! If you’re shipping internationally, look up the particular country’s regulations. You might need a customs form or other documents. You can find these forms on the FedEx website, as well as in their physical stores. You may want to call ahead to make sure they’re in stock, though! Now that you have all your ducks in a row and your package is ready to be on its way, you have to decide how you want to get rid of it. FedEx differs from the post office in that they offer flexible options for shipping, and you can skip the lines by paying online. The FedEx pickup service is one of the company’s best attributes. Everything can be done online, from scheduling a pickup, paying shipping and even viewing your pickup history. They’ll even pick up packages on Saturday! If you’ve never used the pickup service before, there are a few steps to go through to get set up. Once you’re all registered, though, you won’t have to enter the information again unless you change pickup locations. Set up your account. It’s fast and easy, plus you can edit details at any time. Schedule your pickup. You can specify a best time for pickup, as well as give special handling instructions. View your pickup history to see when your package was taken. Changed your mind? Cancel your pickup order or reschedule for a later date. This service is incredible because it fits into a busy schedule, and once you’ve entered your details online, you can just sit back and wait for your package to be delivered. If you don’t feel comfortable leaving your package outside to wait for the FedEx driver, or you just prefer to do business in person, there are many FedEx drop off locations. They’re not only safe and secure, but you can pay in cash at many of them. This isn’t an option when scheduling a pickup. 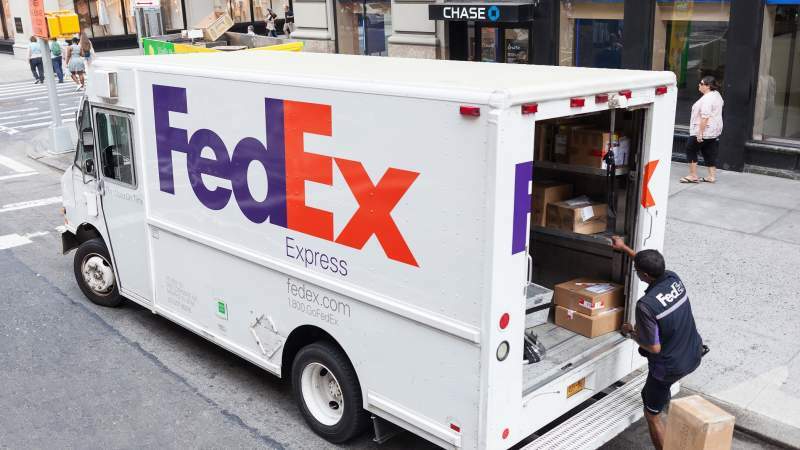 There are many different types of FedEx drop off locations, including fully-staffed FedEx stores, where you can purchase packaging equipment and other business items, drop off counters in OfficeMax stores and even un-manned drop boxes in malls and office buildings all over the country. If you have a package to send, chances are you aren’t far from a FedEx drop off location! They’re easy to find, too. Just go online to the FedEx website and use their location finder. You can filter by type of location, distance and even opening/closing hours. It’s natural to be worried about a package that’s in transit, but with FedEx tracking you always know where it is. If you have an online account, you can track up to thirty different packages at once! You will also receive a tracking number to share with your recipient. That way, they can check on transit status, too. If you’ve registered for an online account, you can also request an email notification whenever your package changes status. You’ll never wonder where it’s gone or if it will make it safely to its destination. You’ll always have peace of mind. If accidents do happen and your package arrives damaged or is lost, you’ll need the tracking number in order to make a claim. It’s a bit of a hassle, but can be done online or by phone. The online method is easier and faster because they don’t put you on hold and there’s no miscommunication during a long string of numbers! Home delivery is where FedEx really shines. They have some amazing options for your package recipient, including scheduling a delivery time, choosing evening delivery and making deliveries all day on Saturday. When you send a package, you want to know for sure that it will end up in the right hands. That’s why you can also sign up to get delivery confirmation emailed directly to you! They’ll even send a scan of your recipient’s signature so you can feel secure. If you’ve never shipped with FedEx, the range of options can be a little daunting, but once you’ve tried it out, we’re sure you’ll find it can suit all your needs – even the ones you didn’t know you needed! Our best advice? Even if you don’t ship packages regularly, sign up for an online FedEx account. It’s completely free and it will save a lot of time and effort in the long run, even if you just use it to print off shipping labels.